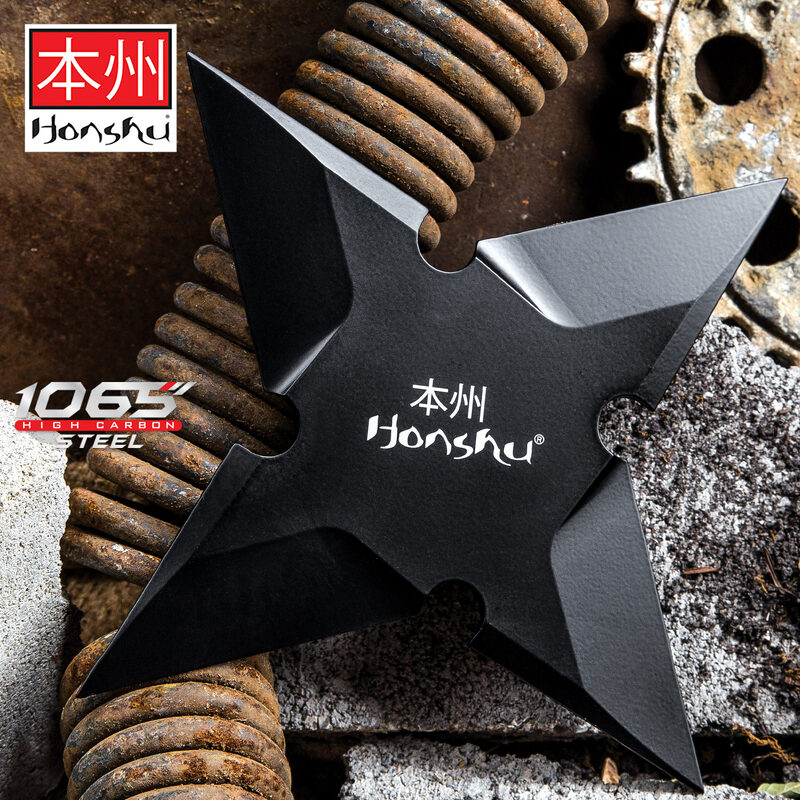 Razor sharp and rock solid is the Honshu legacy. 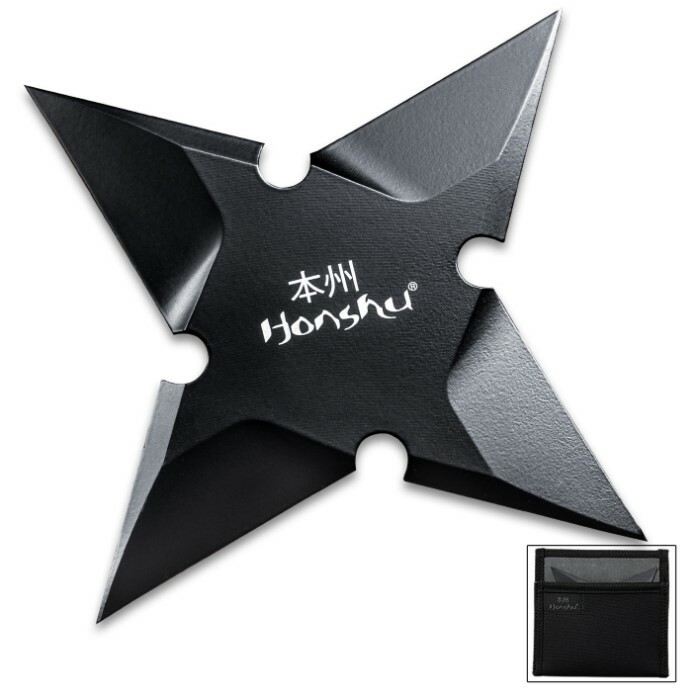 And the Honshu Ebony Throwing Star, crafted by popular demand, continues that legacy. 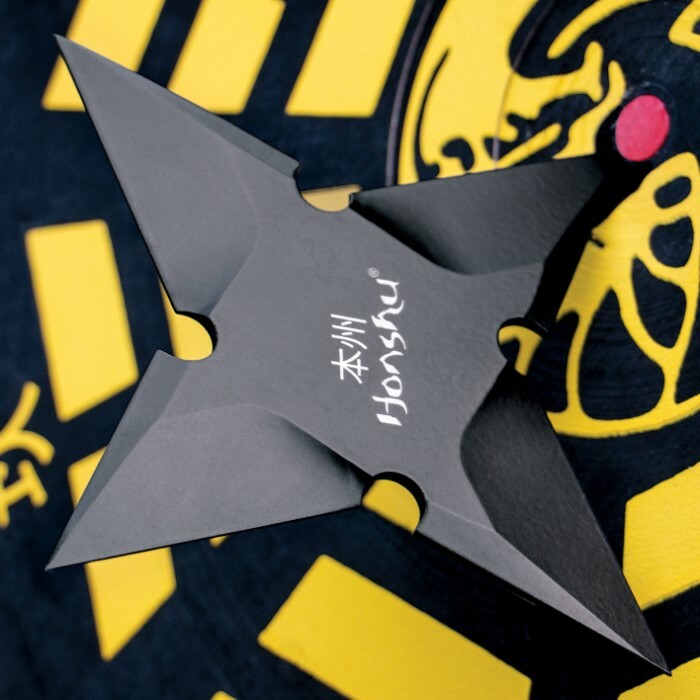 This 7" throwing star is a larger version of Honshu's signature black throwing star and is a perfectly balanced piece with the same sleek and modern feel as the original. 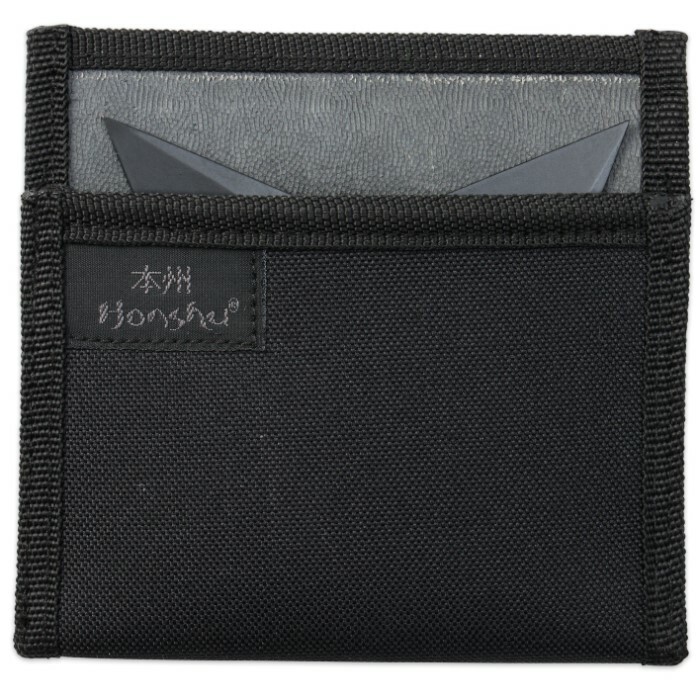 It is constructed of 1065 high carbon steel with a black oxide coating and comes with a sturdy nylon sheath with a belt loop. I bought 3 of them. If you do your part, they will stick where you throw them. Well balanced and massive. They hit with a resounding and satisfying "thunk." Highly recommend. I bought 3 of them. They did not come sharp though, however they stick nicely. I put a blade on my 3 easily with a grinder. United Cutlery has always been ahead of its main competitor Cold Steelr by a few steps. This is another fine example of perfection, blade tip geometry is flawless, whereas on the Cold Steel stars, considerable point thinning with a file is required to make them stick instead of bounce off plywood. The Honshu sticks perfect as is right out of the box. These should be on your must have list.